Two new Roogoo titles are in stores now. 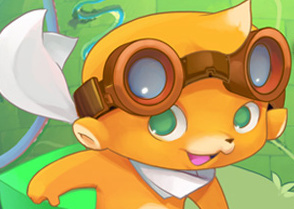 Southpeak Games has recently announced that their two new Roogoo titles are now in stores. 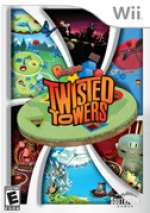 Roogoo Twisted Towers is now available for the Nintendo Wii console and Roogoo Attack is available for the Nintendo DS. Both games continue the addictive puzzle gameplay of the original Xbox Live Arcade release and both offer unique play control twists for the respective consoles. Below are snippets of information on each title as well as game play trailers showing the games in action. We'll have reviews of both games up soon. These Roogoo games are lots of fun. I love them. I never played the XBLA version but it looks pretty fun! I see that they are including a connectivity feature between the Wii and DS versions. Wasn't there a similar feature like that in Geometry Wars for Wii and DS too? Come on people, this is a great puzzler. Simple yet obscenely addictive. I might even go so far as to call it the most underrated puzzlers I've ever come across. I might give the DS version a try; I think it will play better on the DS than the Wii. Plus, I can just rent the Wii version and unlock the additional levels. Although, I may just wait until the review just to be on the safe side. We should have a review soon. Of the two, I think the DS version is the one I'd go with if I had to pick only one. Another puzzler, u say Corbie? I'll be interested in the review. Initial views of this didn't excite me, but for a budget price I don't mind picking up the odd oddball puzzler on disc (see Minon and coming soon Octomania). Looks kinda boring. I guess I'll trial the XBLA version.